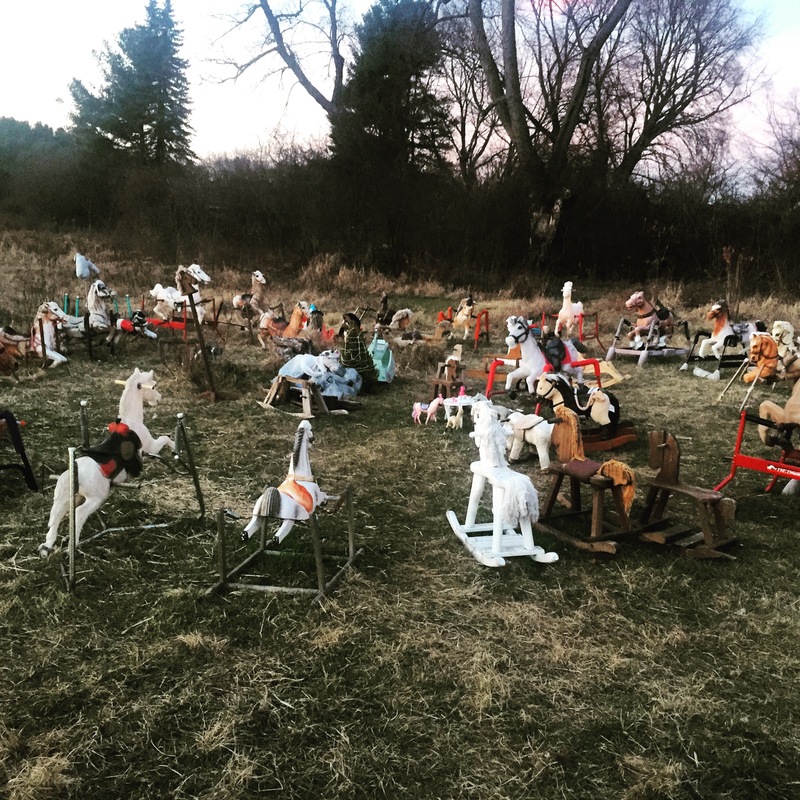 Did you ever wonder where your rocking horse went to when it died? This may or may not be the place. 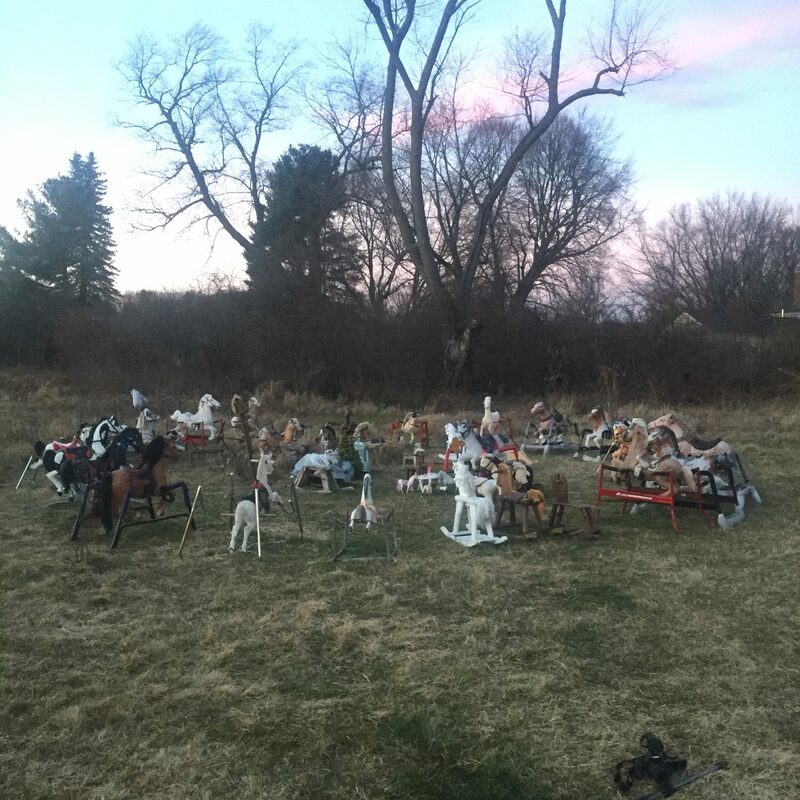 Located on a side road in Lincoln, Massachusetts, this group of a few dozen rocking horses are sporadically scattered throughout the field. 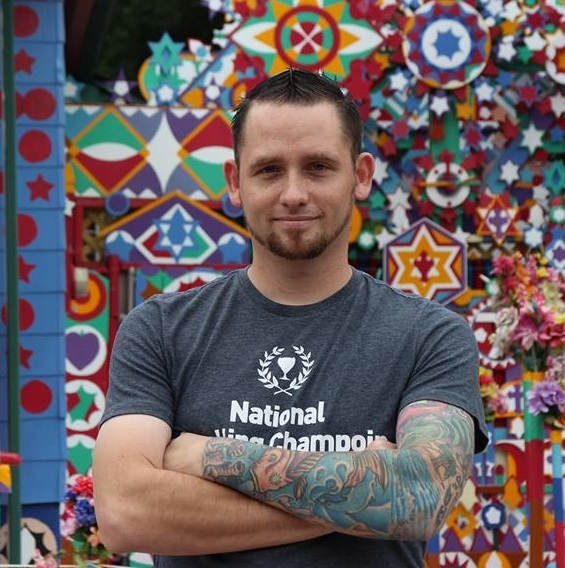 Originally starting with two horses and a lemonade stand when a couple children were trying to make some extra cash. Leaving behind the horses. Overtime, more and more started to show up. No one really knowing who is leaving them there, or why. But now, they are randomly ending up in different set ups. Whether it’s a tea party, a casual get together, or, lining up for the Kentucky Derby.